The Internet has probably the best thing which has happened to us in the past 2-3 decades. It helps us shop, bank, study, learn new things, make travel arrangements, and carry out other such activities with just a few clicks. But the same internet has also brought with it a few negatives as well: virtual crimes and the online scammer behind them top this list. Now, let's take a look at some of the popular online scams and security measures you need to take to prevent them. Phishing Scams : These are basically emails with enticing messages that lure the readers to a fraudulent website normally disguised to look like a legitimate e-Commerce or banking website with the ulterior motive of snatching away the victim's sensitive information like their account information, credit card details, social security numbers etc., Once these details are obtained, the bad actors will either sell them in the dark world or use them to their advantage. Nigerian 419 Scams: Probably the oldest online scam which is still around and has conned many gullible online users. It's basically an online scam – which was once delivered via fax machines, now having switched over to emails – where the bad actor requests the victim for his or her bank account information so that they can transfer huge sums of money (obviously fake news) out of the country which has become difficult to access because of government restrictions or taxes or some other reason. The mystery behind the name 'Nigerian 419' is the fact that Nigeria witnessed the first wave of these scams and '419' represents the criminal code of the country which identifies such a crime. Greeting Card Scams: Very simple yet effective. These are a type of phishing scams which arrive in your inbox as a greeting card supposedly sent by a friend or a family member, containing links which direct the victim to a booby-trapped web page that downloads Trojans and other such malicious software onto the victim's machine. Lottery Winning Scams: Another type of phishing scam which claims you have won the lottery and large sums of money is waiting for you and all you have to do is provide your account details. And if you do, loads of money would disappear from your account instead of additional ones appearing in it! Another one of the oldest scams. Scareware Scams: A recently developed and pretty effective online scam wherein the victim is scared into downloading a malicious software which is disguised as a legitimate one. For example, a message appearing in your inbox stating your PC has been infected and that you should be downloading the software being offered for free to protect your PC. Sounds too good to be true, isn't it? That's because it's not. Take all necessary security measures expected out of a prudent internet user and you can stay clear of these online scams. Because at the end of the day, these scams rely on your reaction. And if you react the right way, there won't be any issue at all! Therefore ensure you take the following simple but effective security measures: i) use strong passwords ii) think before you click anything iii) employ stringent privacy settings and above all, iv) use antivirus software for PC protection. Comodo's Free Security Software For Windows which comes equipped with impressive security features offers the best real-time protection to your PC(s). Security features like Comodo's unique Default Deny Approach for checking unknown applications, Containment for running and testing unknown applications, Host Intrusion Prevention System (HIPS) for PC protection, and Viruscope for monitoring the various processes which run on your PC, the chances of malware threats and even zero-day attacks infecting your PC(s) are very less. All these provisions make Comodo's Free Security Software for Windows the best antivirus in the cybersecurity industry. Default Deny Approach – technology unique to and developed by Comodo which ensures all files (be it malicious, good or bad) are denied entry to critical system files and folders until they prove themselves to be harmless. This is extremely useful to counter zero-day attacks which are usually unpredictable and therefore unresolvable. HIPS and Viruscope – Host Intrusion Prevention System (HIPS) which impose security rules for preventing malware intrusion and establishing an intrusion prevention system. And Viruscope for monitoring system processes and stopping or undoing any malicious activity which might be infecting one of these processes. Cloud-Based Malware Analysis – cloud-based system scans to detect if a given file is malware or not. Another useful provision for combating zero-day malware. 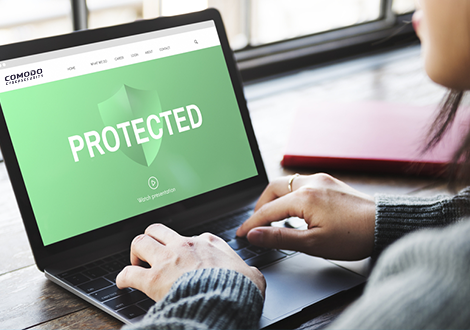 24/7 Available Support* – Comodo Internet Security (CIS) users are also bestowed with the privilege of seeking the support's assistance anytime. All PC users have to do is just give us a call and our support team will be glad to help you out (available only with priced CIS editions). And Much More* – apart from this, there are several other technologies which come equipped with Comodo Free Antivirus which tackle malware as well as zero-day attacks effectively (available only with priced CIS editions).